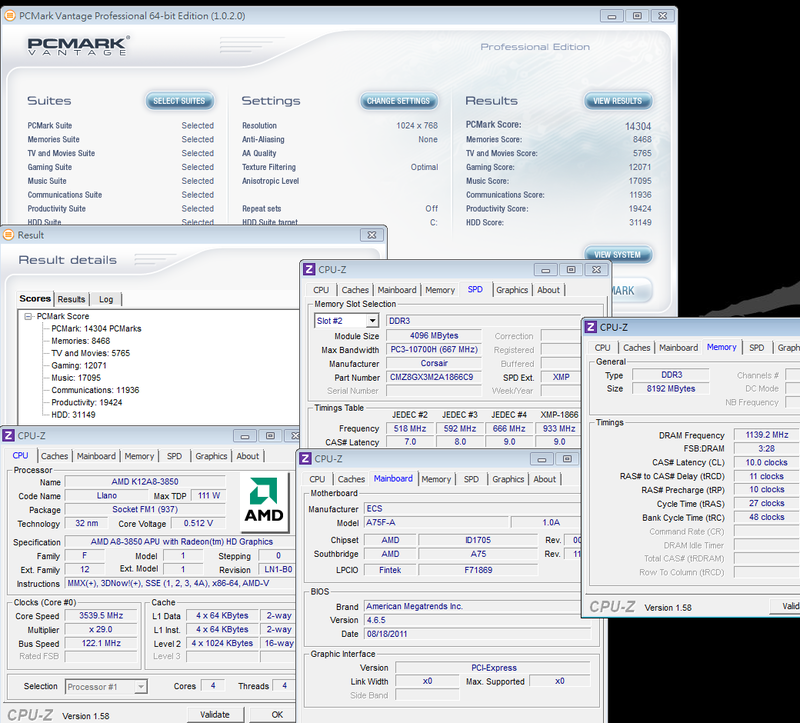 The A8-3850’s performance is little changed from the previous generation Phenom II, even when the CPU cache sizes of both L2 and L3 are slightly different. 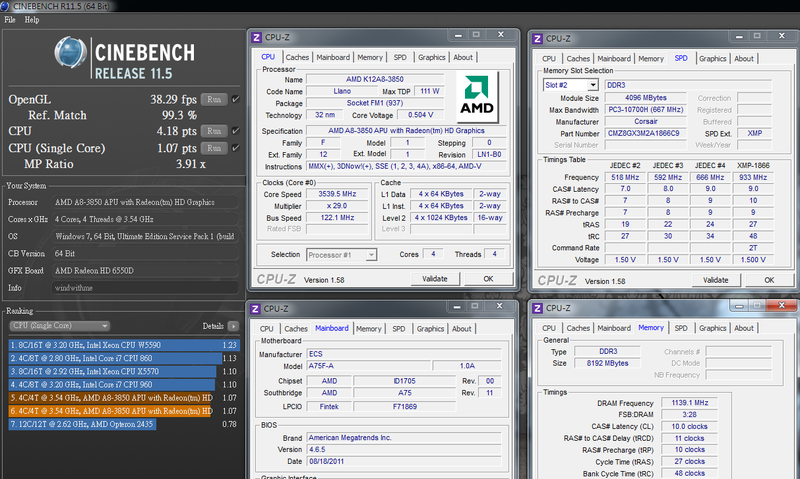 This is where the Llano APU platform has made progress. 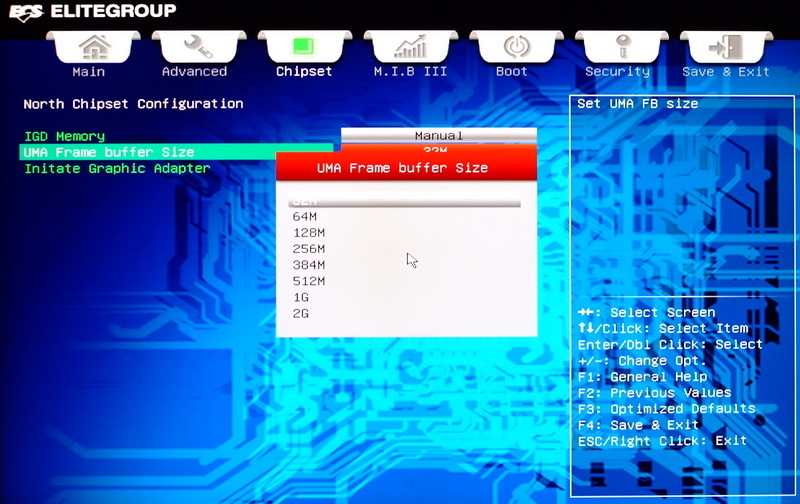 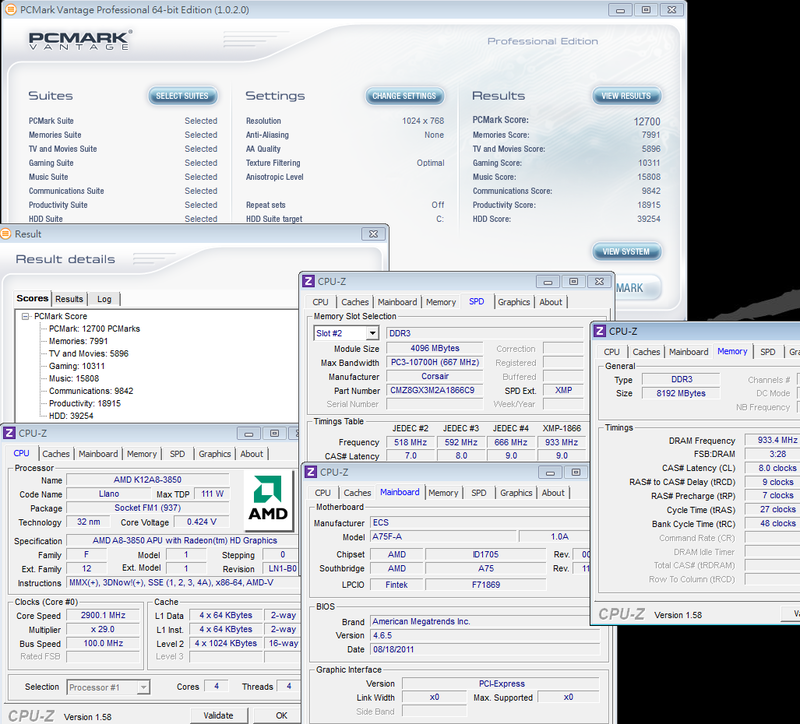 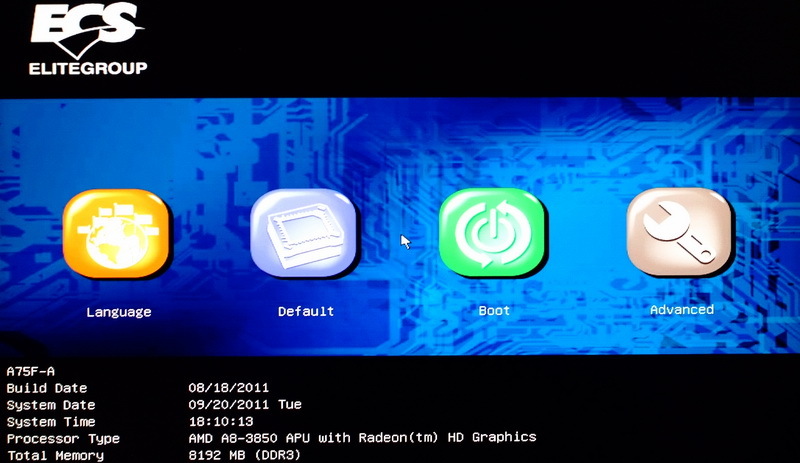 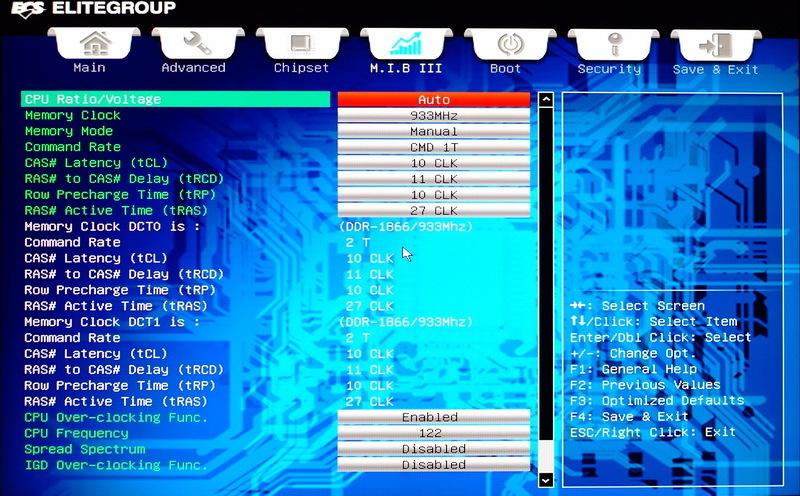 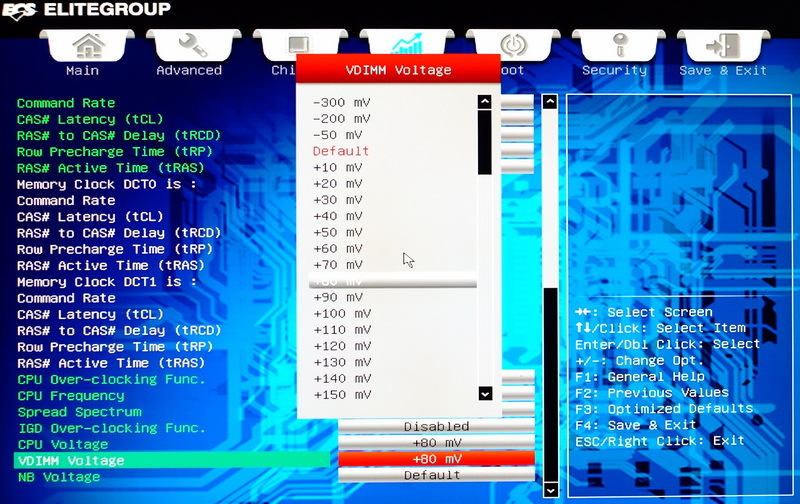 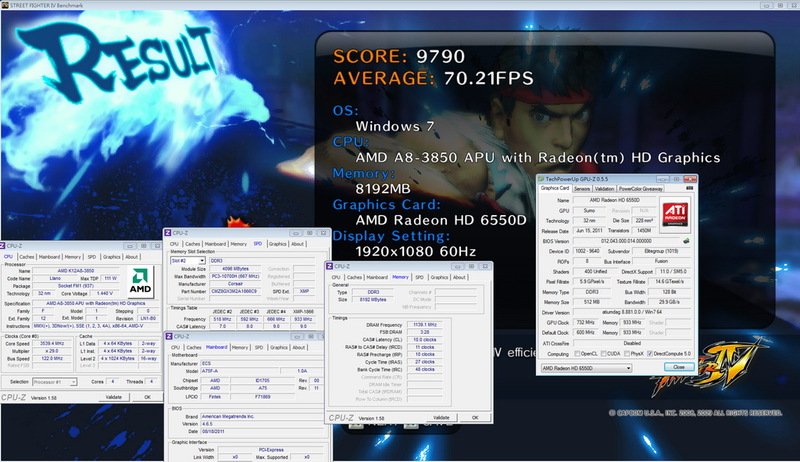 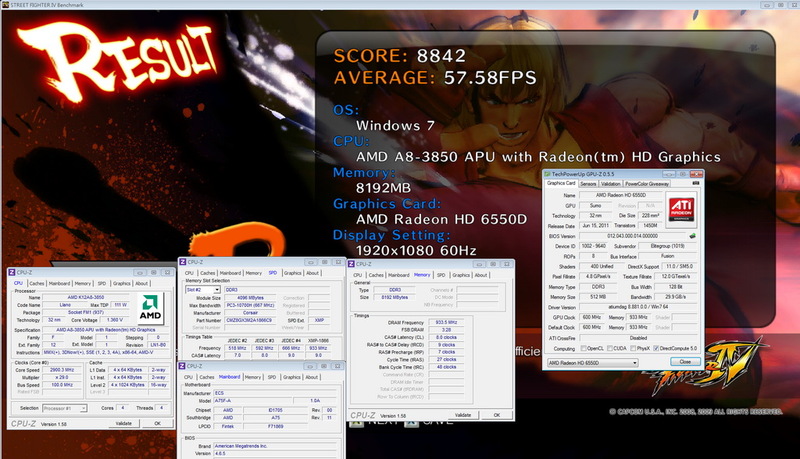 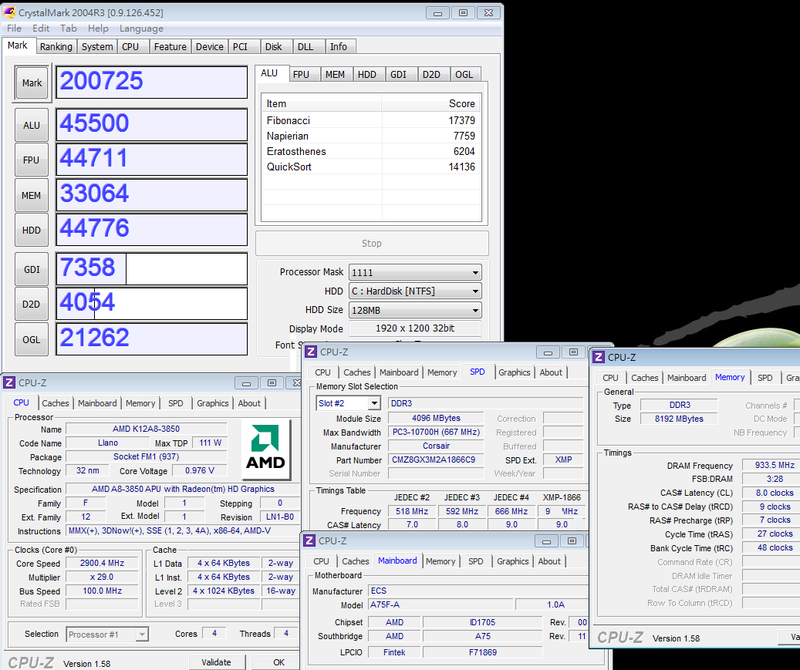 The CPU default is adjustable up to DDR3 1866, which is a bit higher than the previous 1600 platform. At this point, the obtained data was quite good, and even at full speed it was only 39 degrees. 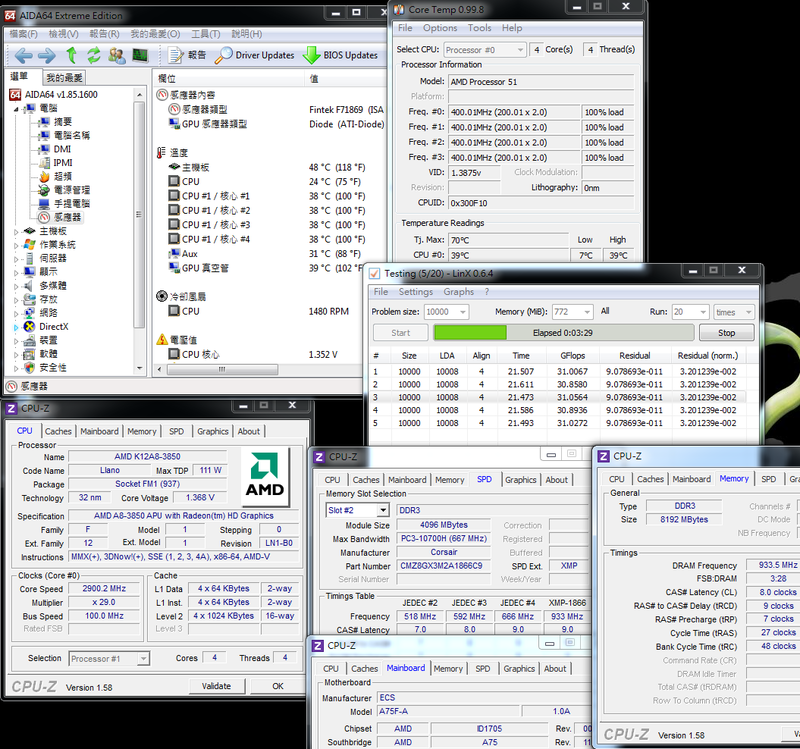 However, because the chips tested for temperature on each motherboard were different, actual temperatures may have been higher for some. 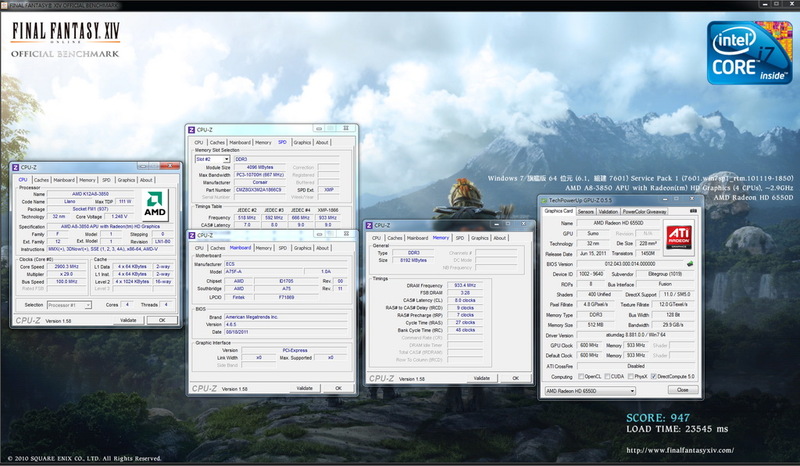 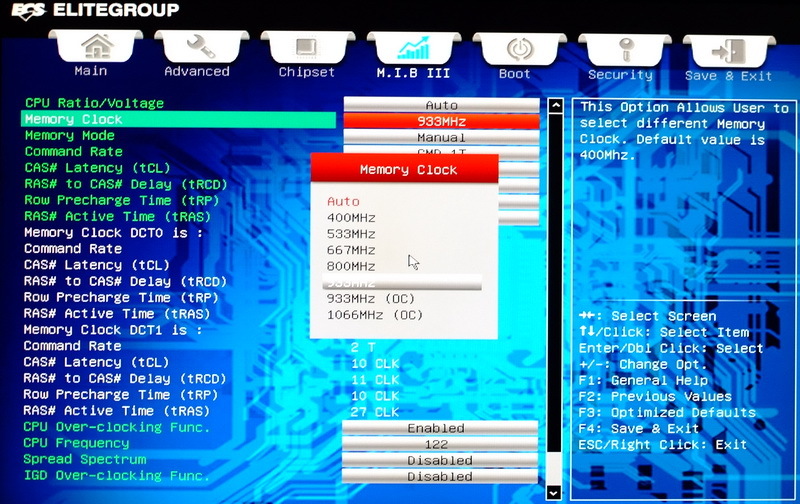 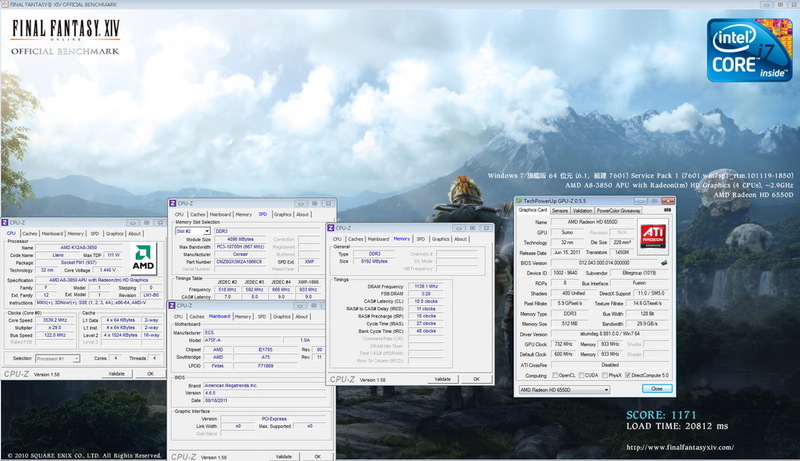 Details about overclocking have been mentioned previously. 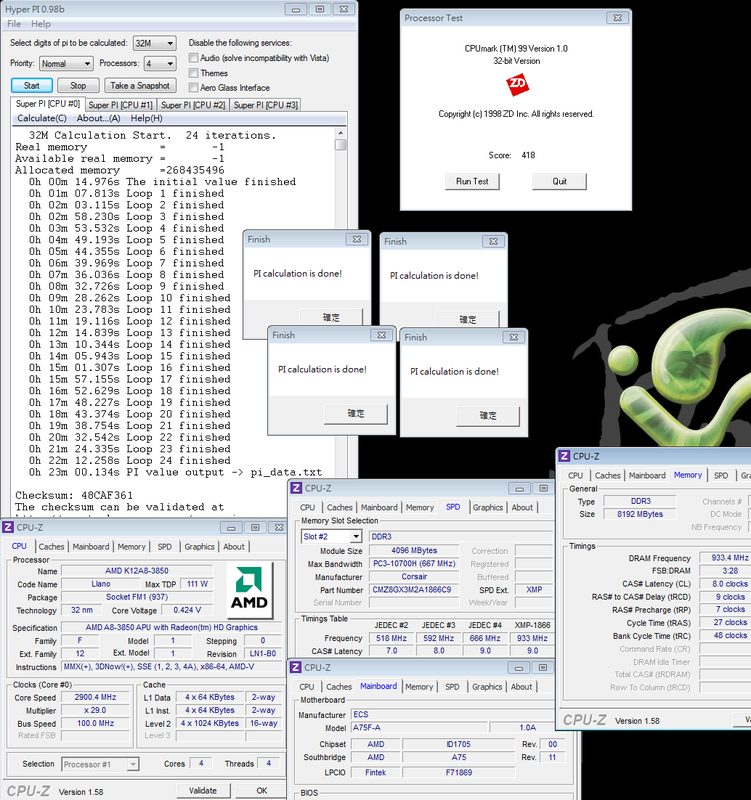 For a wide range of users who want to overclock the CPU, we recommend that you wait for the launch of CPUs that are not locked. 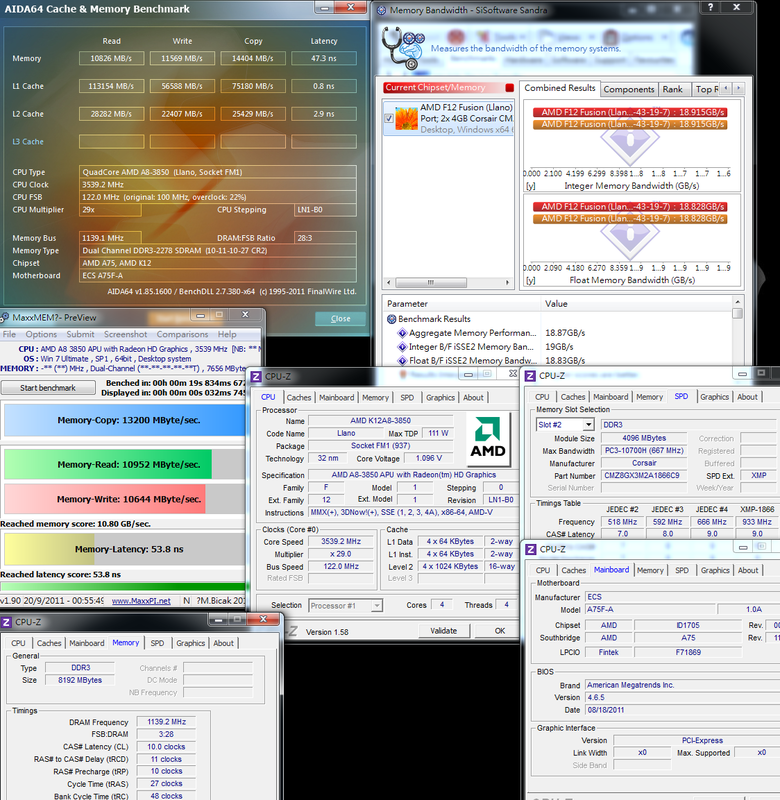 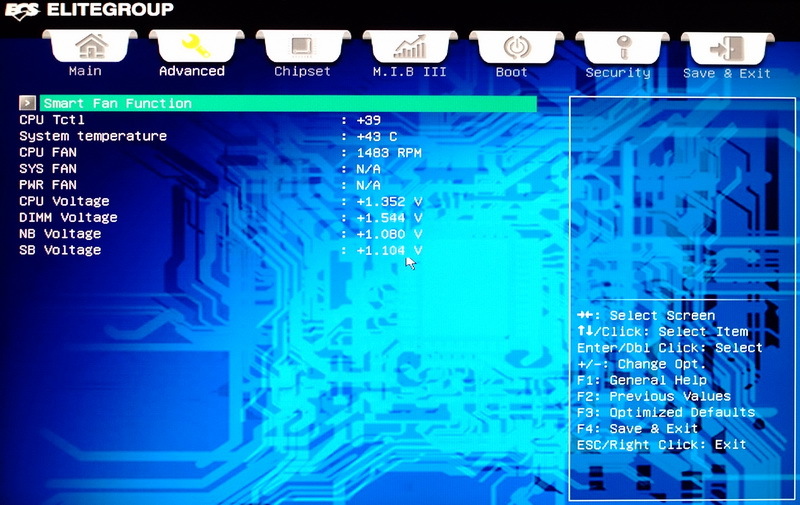 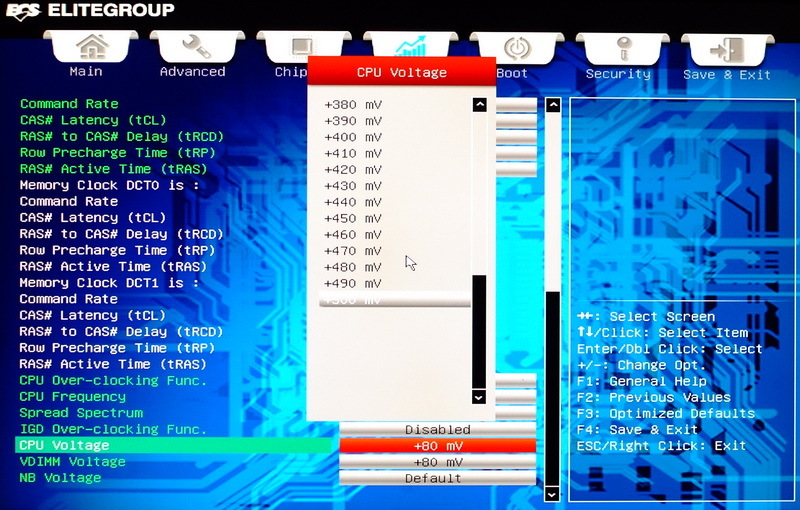 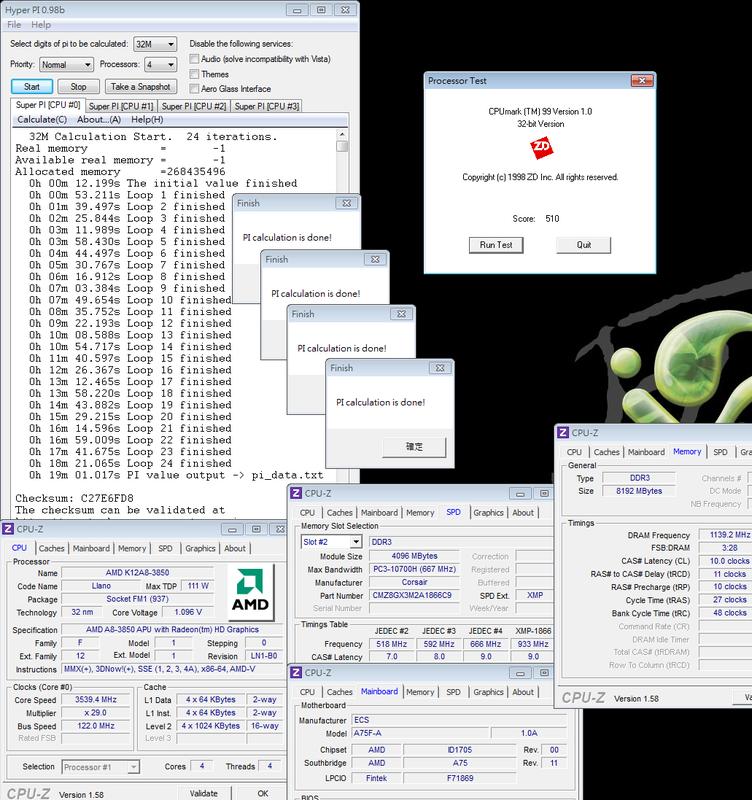 Compared with the 32nm process CPU, overclocking added about 1.45V to the required voltage. 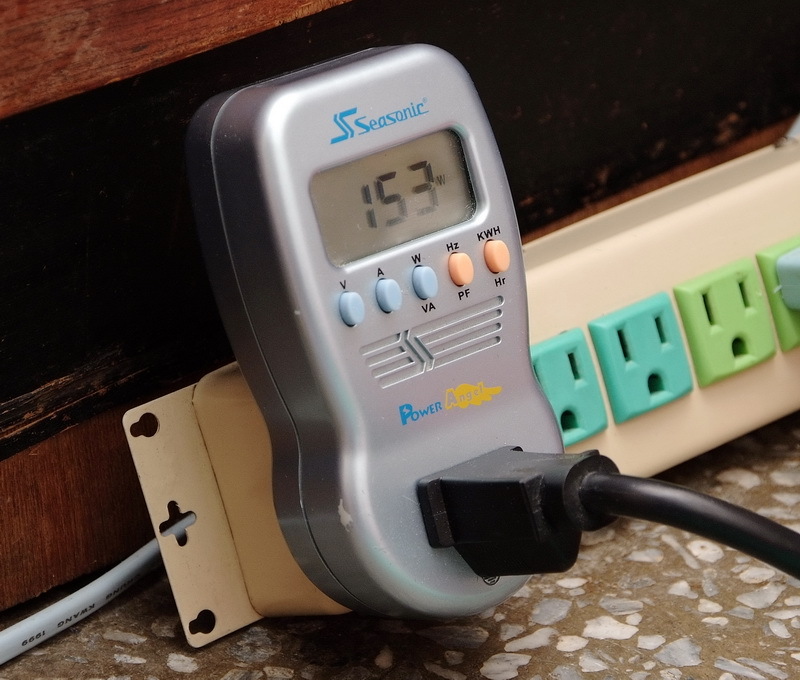 This relationship between the clock and voltage did not result in significant progress. 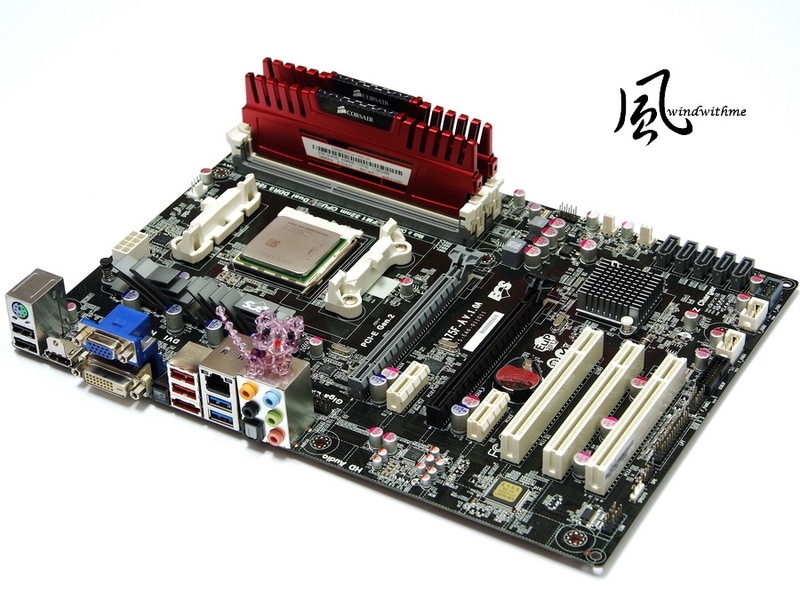 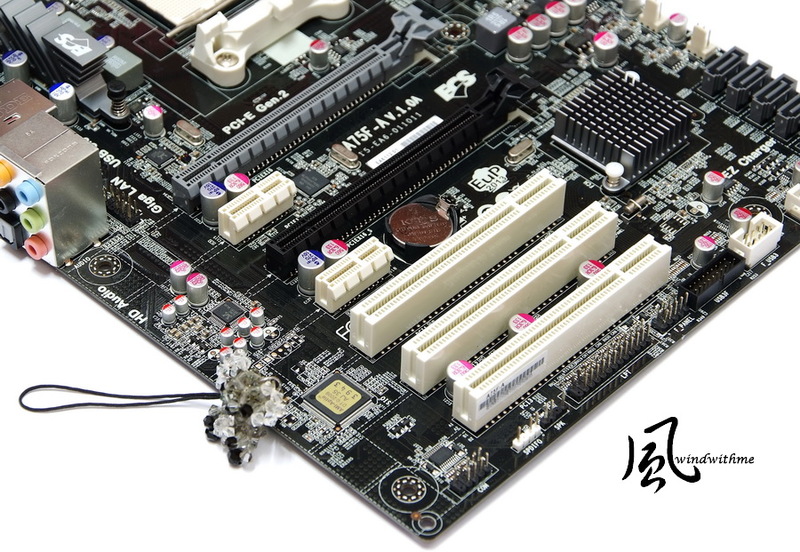 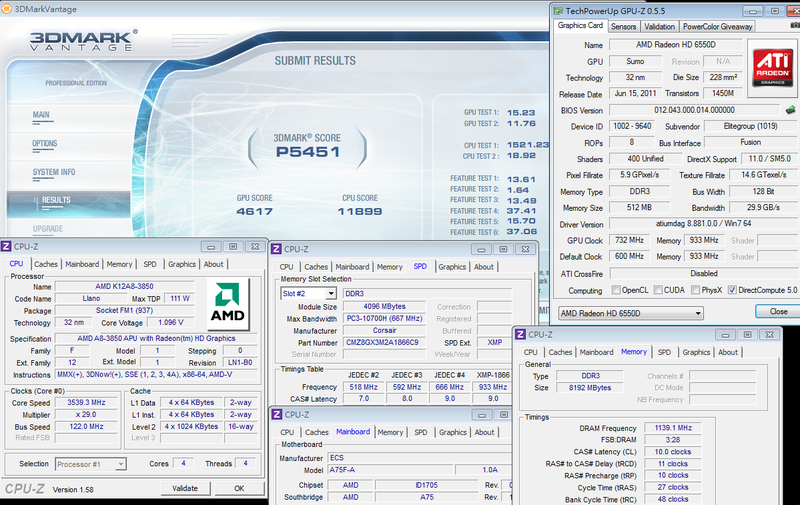 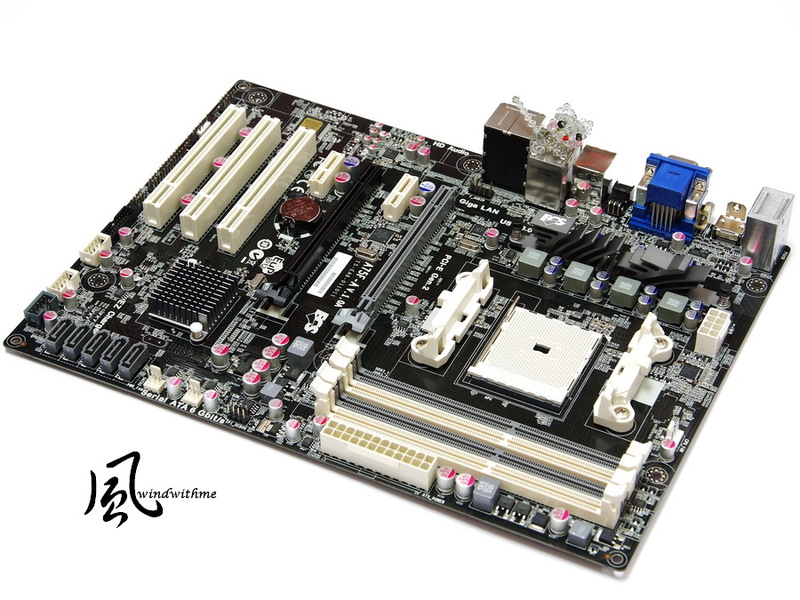 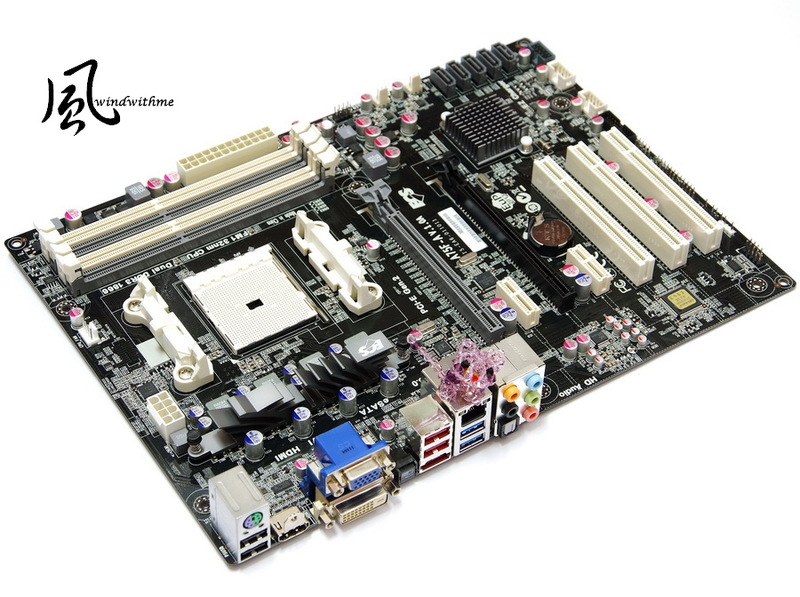 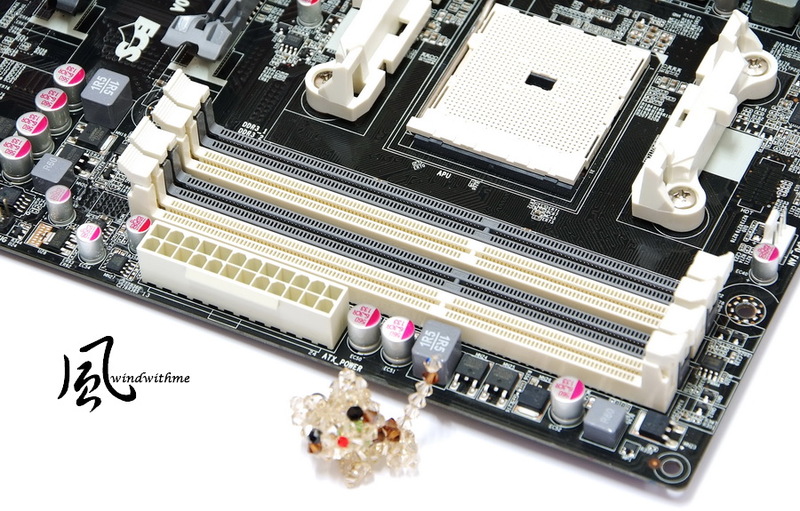 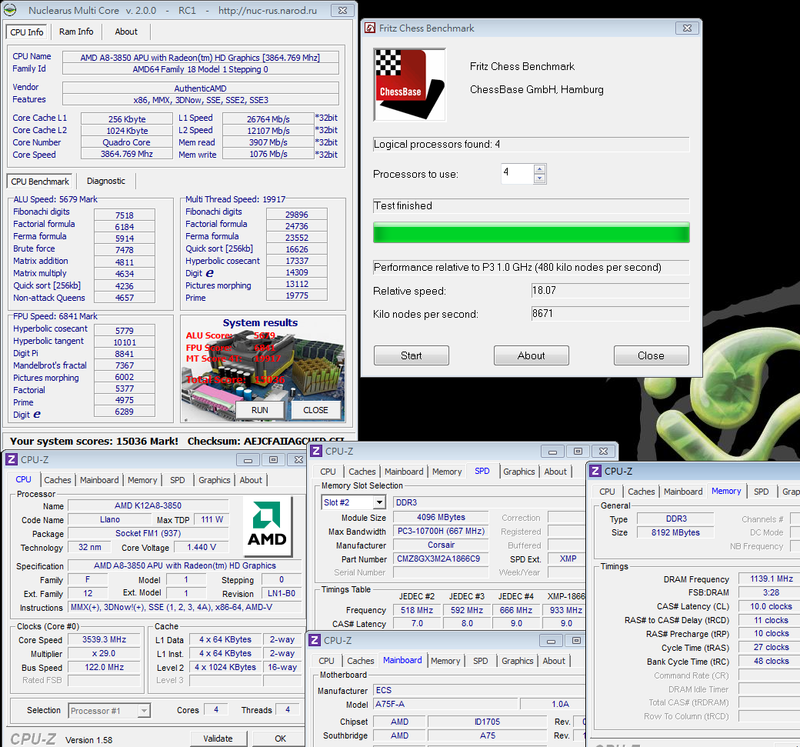 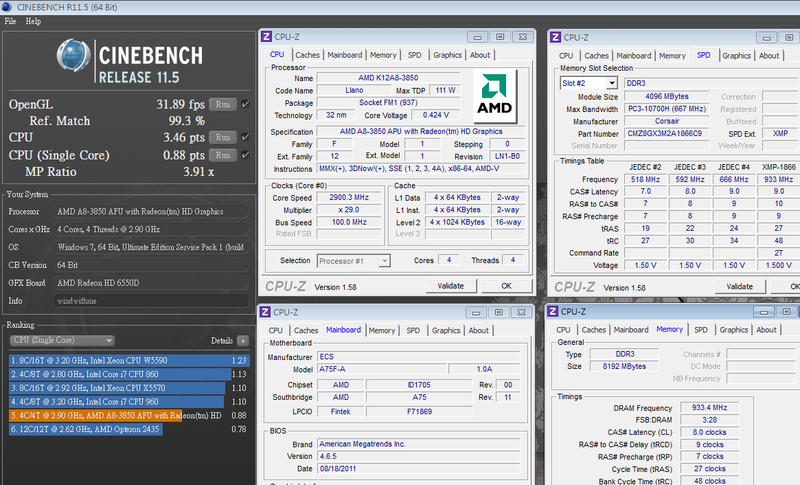 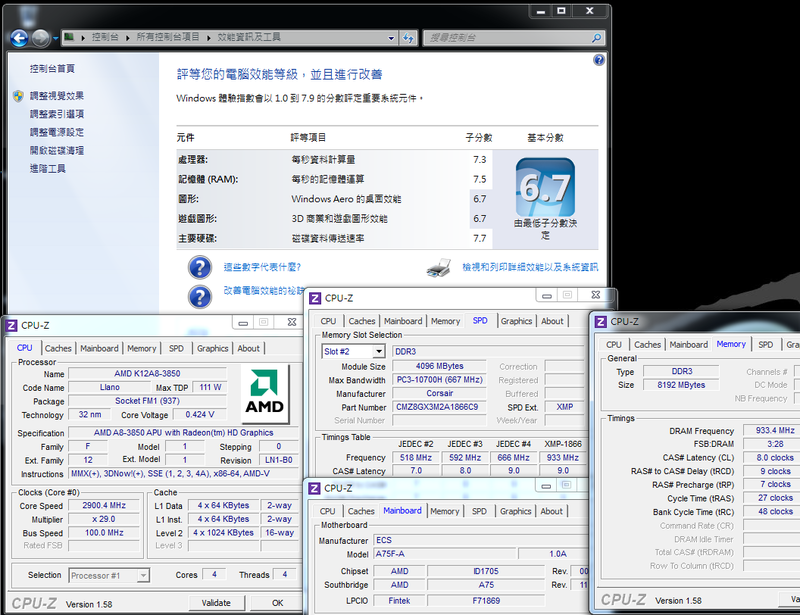 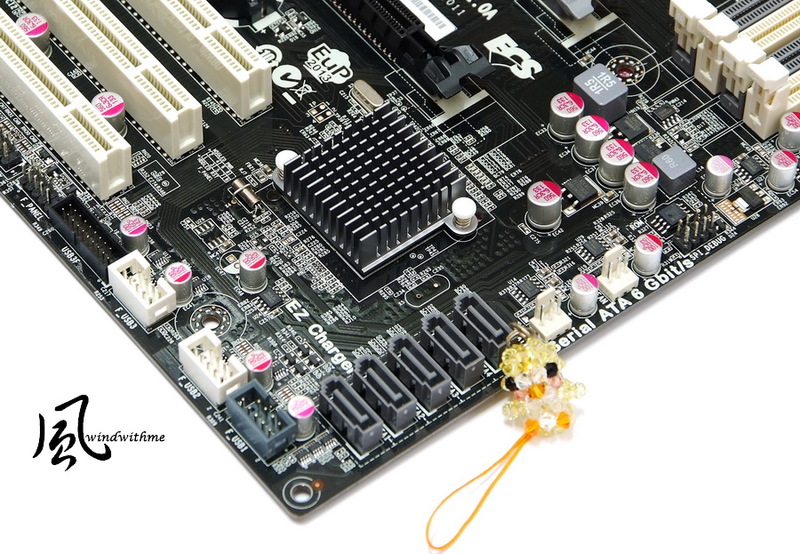 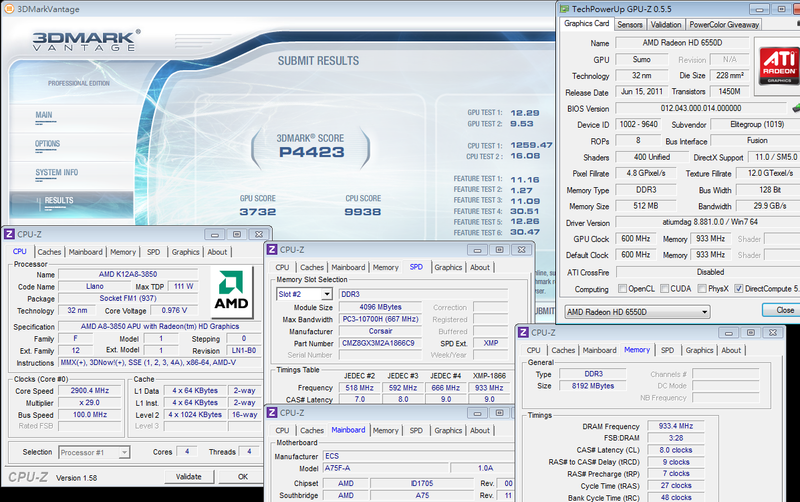 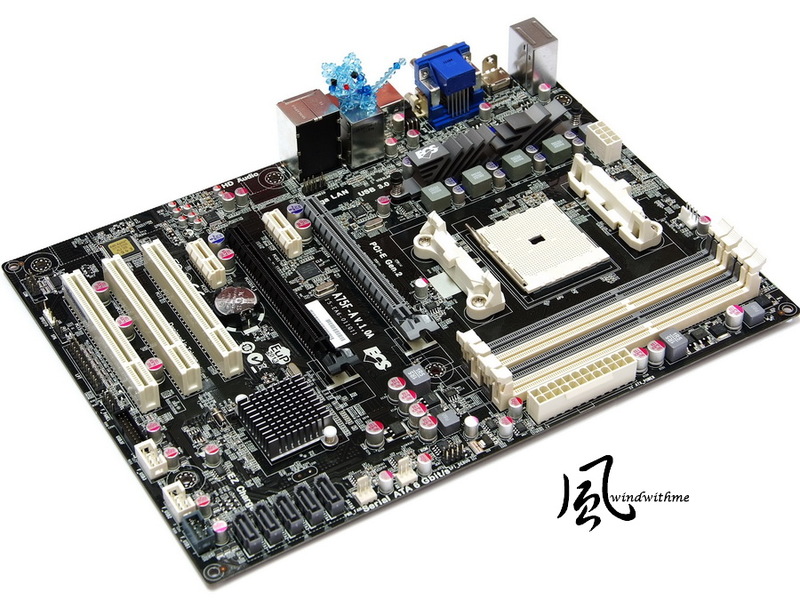 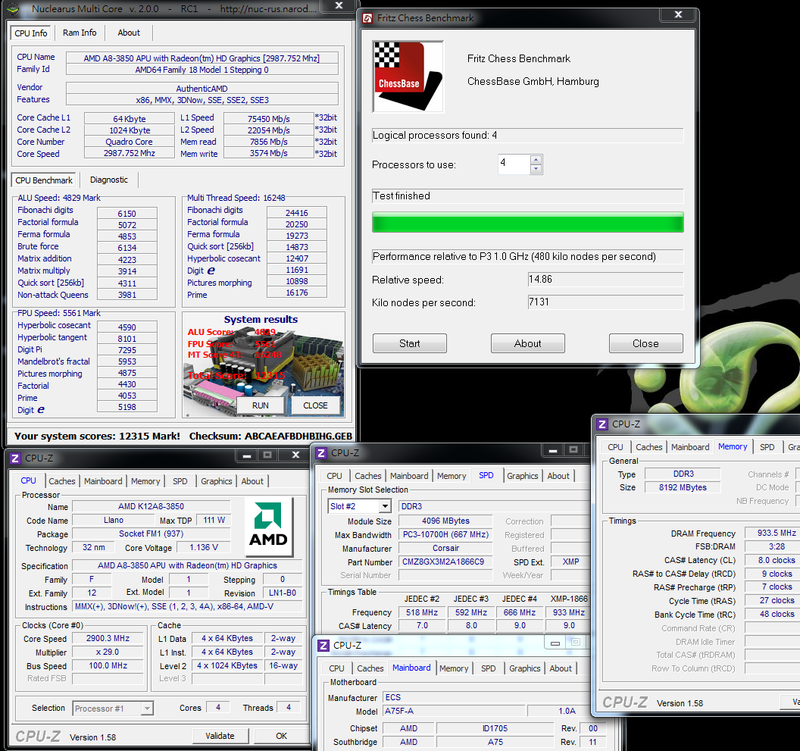 We have tried three A75 motherboard brands, and data showed standby temperatures of 5-18 degrees. 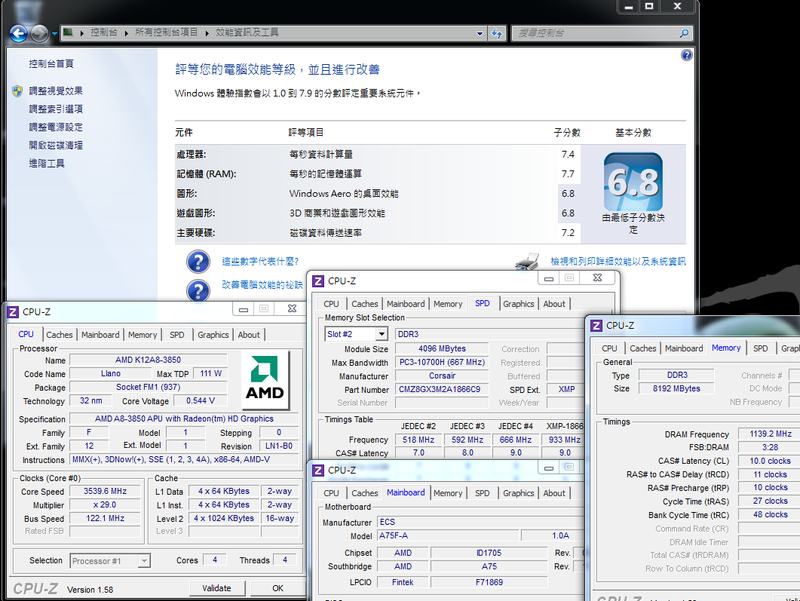 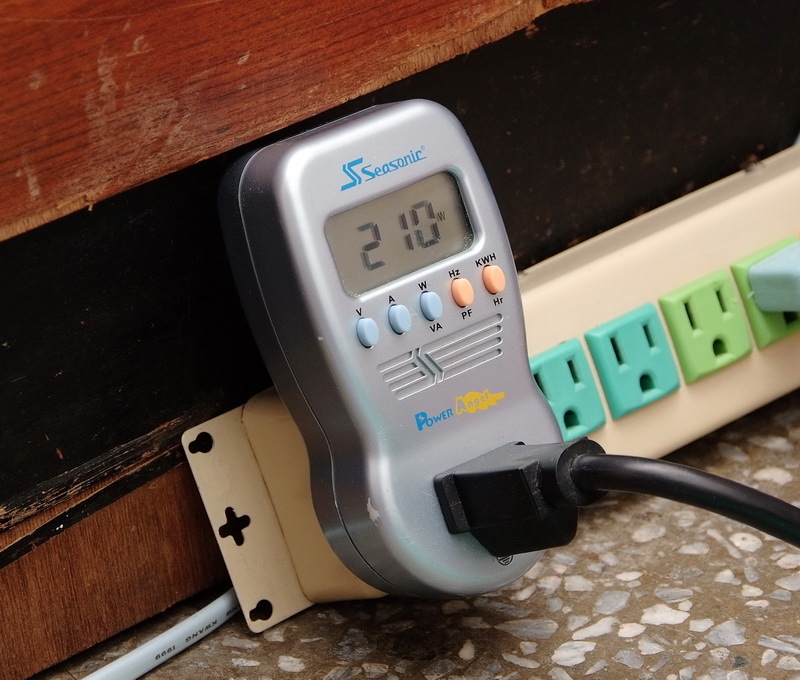 This should be a result of C&Q power-saving technology, low voltage and low clock speed. 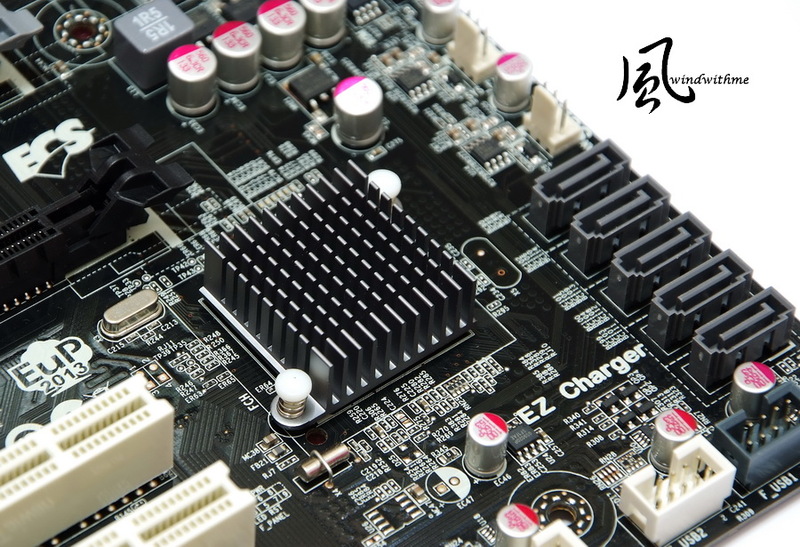 The temperature of the ECS board at full speed was more than 10 degrees lower than that of the previous A75. 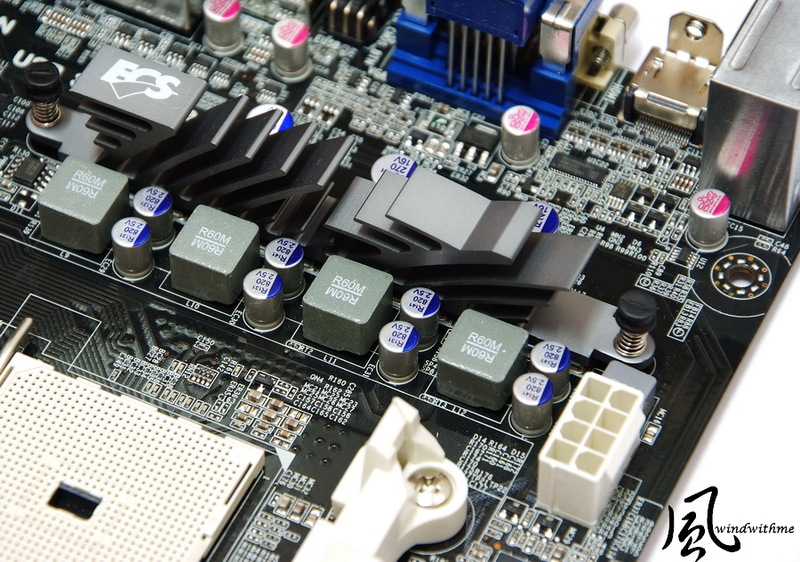 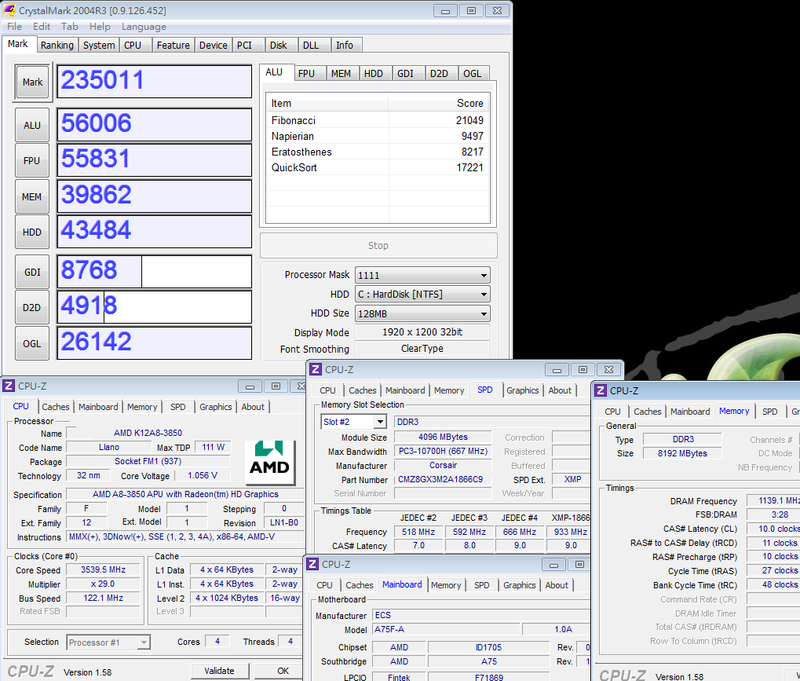 The Llano APU’s internal performance mainly depends on level of the DDR3 clock When overclocking reaches DDR3 2278, there is an approximate 23 - 30% increase in 3D performance. 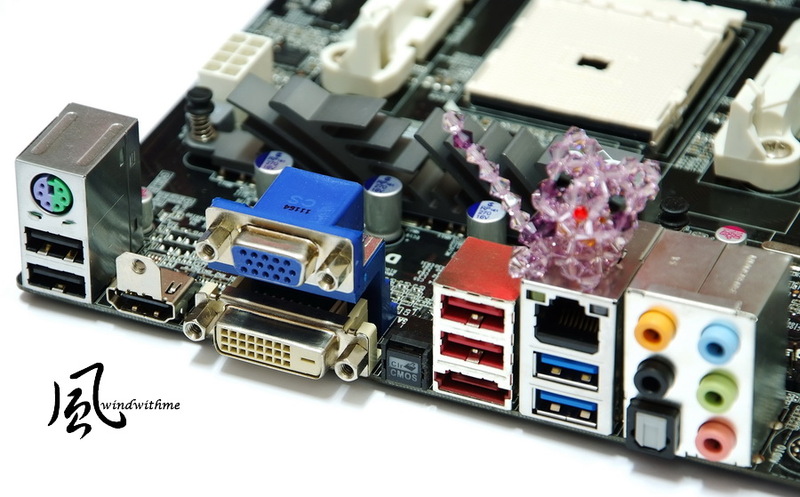 In the past, the gap in performance with entry-level VGA display was often as much as 5 to 10 times. 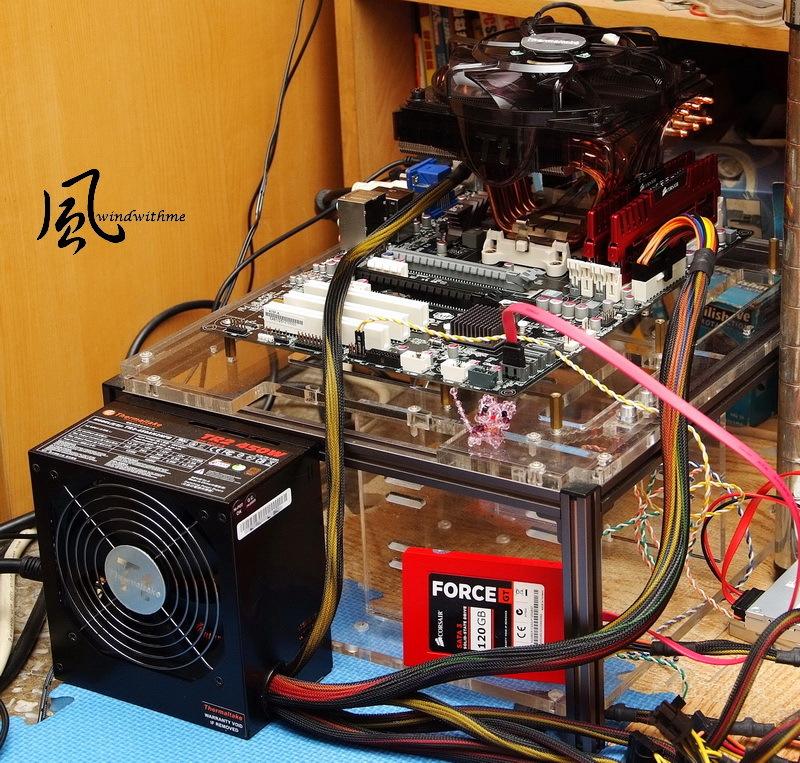 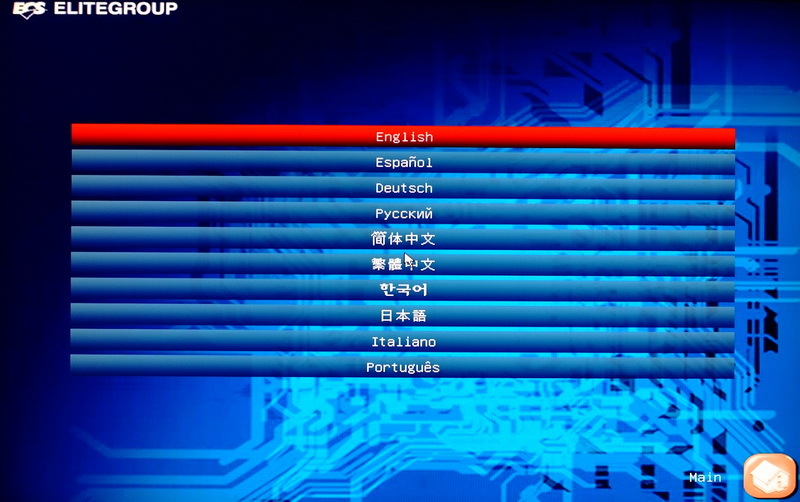 In this year’s battle, the Llano APU’s 3D performance has attained almost the same level as entry-level VGA. 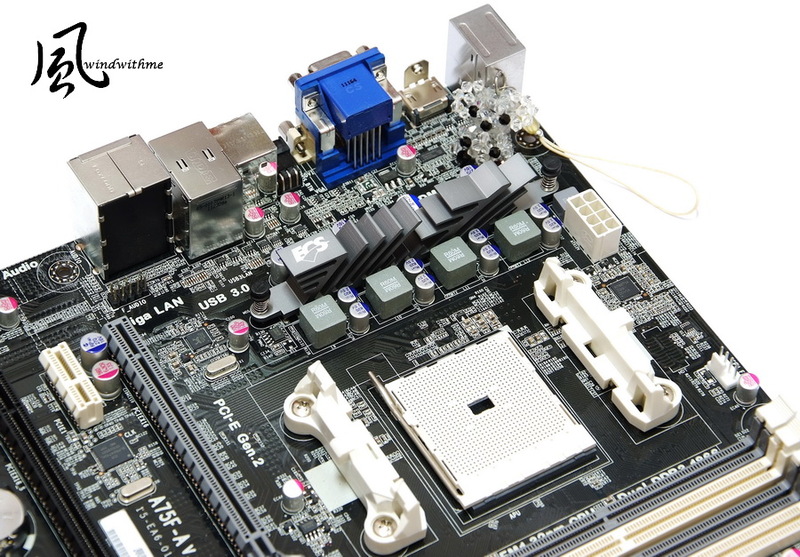 Combining the UEFI interface, plenty of IO and ample PCI-E/PCI expansion slots as well as excellent overclocking features and more.